The couple describes their fantastic marriage and what makes it work. Moses also shared that the couple rarely argues as they both try to put the other before themselves. If they do argue, they have a promise to take it outside away from the children and solve it out in a mature manner. Aimee changed a lot of after giving birth by sacrificing her career and sleep to raise their children. But even after three children, she is still very fit and optimistic in life. She credits a lot of her success to Moses because he is a fantastic father who is patient, hands-on, and devotes all his free time to their family. Most mothers start putting all their attention on their children, so how does Aimee balance her time and energy between Moses and her children? Aimee said, “He is worth 200 points! Ever since I married him, he has been the love of my life, and I will never love anyone as much as him. Nothing has changed after marriage because he is still my best friend and best husband.” Moses’ good temperament while they were dating has not changed either; he continues to be very patient after marriage. With two sons and a daughter, the couple are definitely very busy with family and work. When they were dating, they already knew that they would want a large family because of their love for children. Moses is very grateful that Aimee gave up her career to raise their family, in which he feels motivated to work harder to support everyone. Aimee gave birth to their first son, Aiden Joshua, in 2013. Aiden means “the warmth of the house” and he definitely has a loving and energetic personality. In 2015, they gave birth to their second son, Nathan Lucas. His name means star and the couple hopes that he will be independent and shine in whatever he does. Lastly, they welcomed their daughter, Camilla, in 2016. She is definitely the princess of the house and they hope that she will grow up to be beautiful, happy, and loving. Regardless of scheduling, the couple always makes time for each other, whether it is a quick movie date or even getting a foot massage. Every year, they make an effort to go on vacation alone without their children. In the meantime, they always communicate through WhatsApp and would not hesitate to text, “I love you,” throughout the day. When couples are together for a long time, they tend to take each other for granted and don’t express their appreciation. But both Moses and Aimee seem to be highly appreciative and tell each other so. It’s also a great idea to go on dates and take an annual vacation by themselves, to reconnect and keep the spark in their marriage. @jayne having money and relative help with those dates lol. True but they are still new and have not been together for that long yet so let’s see. It is always good to have personal time for each other. 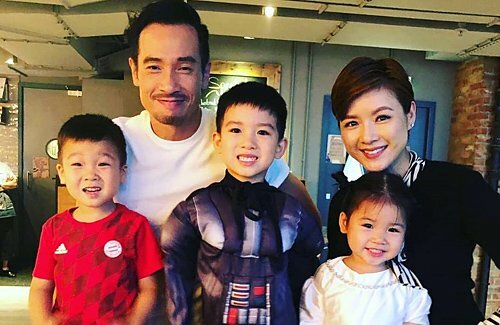 I heard Stefanie Sun and her husband go on dates a day each week with just the 2 of them to keep the spark in their marriage. I think that is a good way to keep the spark in their marriage alive. Not taking your spouse for granted is very important. I see that in my brothers’ marriages as their wives always take them for granted. Their marriages are a bit stale in my opinion.